On two separate Friday nights November 4th and 11th, 2016 the lights at, wildomar’s premier park Marna O’Brien, have lit up all three ball diamonds. This would in most cases be a good thing as the citizens pay dearly with an annual Measure Z Tax for this pleasure used by a few. 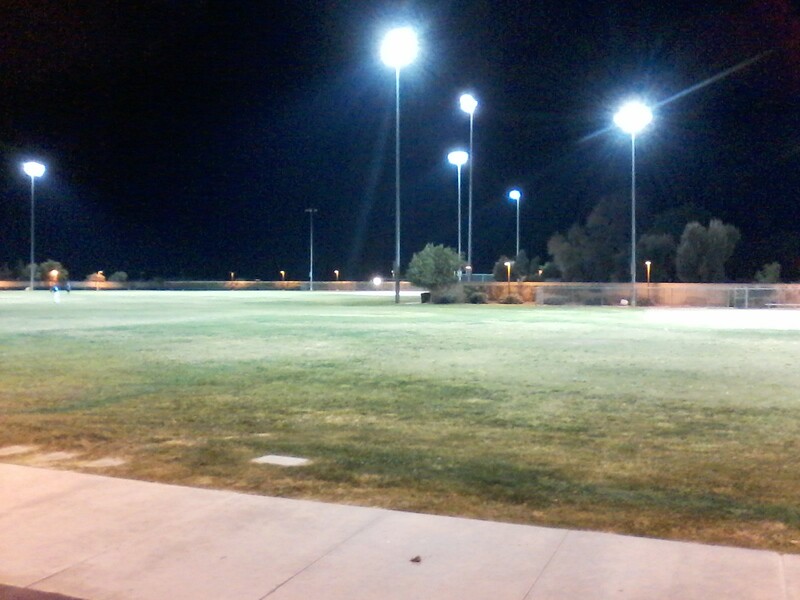 But, this is wildomar where on the two nights mentioned two fields sat empty while one team played, this condition existed from 9:00pm – 10:00 pm on both evenings that I know of. At a calculated cost (2009 study) these lights cost $33.20 per hour per field to operate. 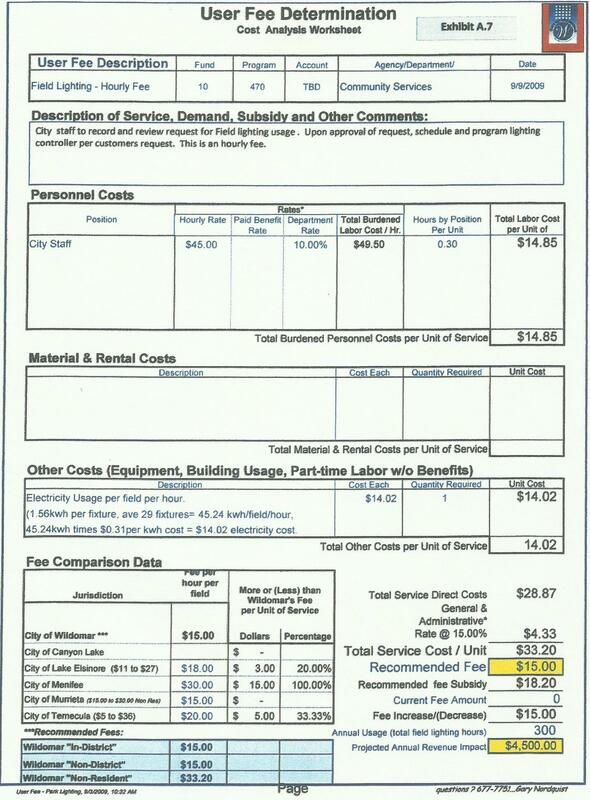 With all three fields lit up it was costing the taxpayers of this city $99.60 per hour of operation. These lights had been on since 5:30pm both evenings until 10:00pm a period of 4.5 hours for a total cost of $448.20 each night. How much abuse are the citizens of wildomar to take at the hands of an uncaring staff. This entry was posted in Daily Ruminations, Future City of Wildomar, Parks, Shenaigans and tagged Wildomar City Council, Wildomar City Manager, Wildomar City Staff on November 12, 2016 by Kenny.